Elimination Chamber is the second PPV that WWE is airing this month on the WWE Network. Around the time of its inception, this was a marquee PPV, well- hyped and it went on to recieve a lot of acclaim.That trend continued over the next few years. But as the Chamber entered the realm of the PG ERa, it lost some of its aura. Most of its aura depended on the violent nature of the structure. But despite that there have been plenty of moments that can get the audience all shocked and gasping at the kind of falls some of the performers take. The Deadman is an example in making the most of limited appearances. In just 3 appearances, he’s won one Chamber match and almost won another if it wasn’t for the attack by Shawn Michaels. Despite his limited appearances, he’s dominated his Chamber matches with 6 eliminations to his name. And who could forget the time when he countered Batista’s move into a Tombstone Piledriver? It’s one of the most fantastic counters ever witnessed on WWE television. Shawn Michaels had a highly emotional victory in 2002. HBK just has one victory in his four appearances at the Elimination Chamber. But he belongs in this list for the fact that the inaugural Chamber match saw him winning his last World Heavyweight Championship. He won it in spectacular fashion, pinning his best friend turned foe Triple H, to the raucous delight of the audience in the arena. It was poetic given the fact that he was away from wrestling for 4 years due to a back injury and this was a such a triumphant statement to establish his return. Another moment that stands out is his interference to cost Undertaker the match in 2010. He emerged from underneath the chamber to not only cost The Undertaker the match but also convince him for one more match at Wrestlemania, one more chance to beat the streak. 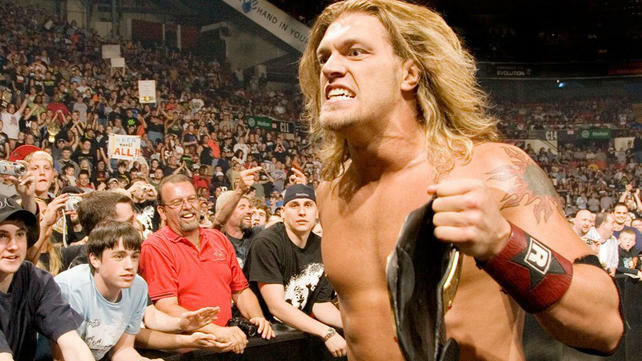 The Ultimate Opportunist in Edge got its crowning moment during the Elimination Chamber match at New Year’s Revolution 2006. He waited until Cena won and then he cashed in to mark a memorable moment in history. The first cash in was complete and that was a driving force behind the success of the Money In The Bank gimmick. Apart from this, he’s got two Chamber victories. One in which he pinned Mysterio and Cena consecutively in quick succession. The interesting fact is that he took the WWE Championship away from Cena twice in this kind of match. The Ayatollah of Rock n Rolla is a veteran considering many feats, one of them are his Chamber appearances. When it comes to Chamber matches, he’s had a staggering 8 appearances with 10 eliminations. He’s lost most of them. He once got speared through a Chamber pot by Goldberg and went unconscious after CM Punk Muay Thai kicked him out of the structure. He did win once, thanks to Shawn Michaels’ interference in 2010, that led Jericho to pin Undertaker for the win. His longevity establishes his place in this list.